The Governors Inn Hotel - -NEWLY RENOVATED- Sacramento has completed a major renovation including a makeover of guestrooms lobby and created a spacious and expanded new breakfast lounge. 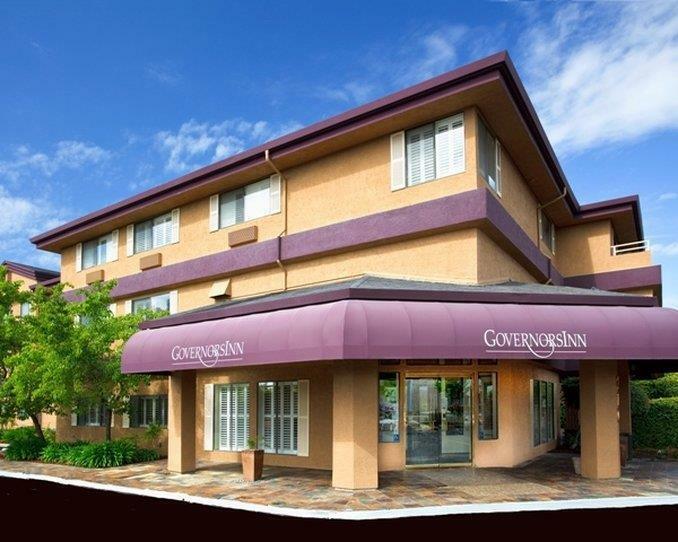 Retreat from the hustle and bustle of Sacramento life to the Governors Inn Hotel where you will find a contemporary look and superior hospitality for your Sacramento stay. The Governors Inn Hotel is conveniently located in the heart of the California State Capital. Minutes from Sacramento International Airport and downtown business district our 133 beautifully appointed guest rooms and suites offer spacious accommodations in a comfortable and casual setting. We are a 100PCT non-smoking facility. Whether you are traveling for business or leisure our friendly and attentive staff will make your stay an enjoyable one. We look forward to welcoming you soon. All of our guests are offered a complimentary continental breakfast and afternoon managers reception in our lobby. AIRP-SACRAMENTO Take I-5 south exit Richards Blvd. and turn left next to McDonalds. Amtrak1/2 mile north to the property. Cal Expo6 miles west to the property.